Some plants remind us to be in the moment and savor the season. The starflower is such a wild plant. Type of Plant: A low, perennial wild flower that blooms in May and June with small, but very noticeable, white flowers. Why I Love/Hate this plant: This is one of the few plants that has flowers with 7 petals…although sometimes you’ll see starflowers with 6 petals. 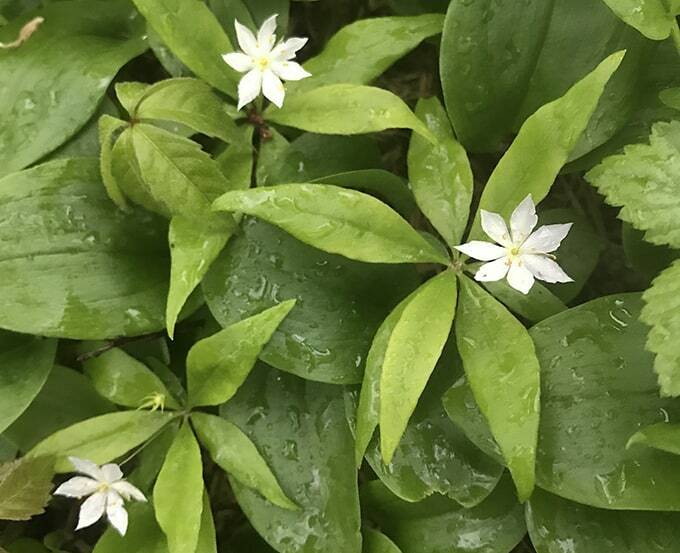 It frequently grows in communities with wild lily-of-the-valley (Maianthemum canadense), spotted wintergreen (Chimaphila maculate) and other woodland plants. I love this plant because it is not only fresh and cheerful, but it is fleeting. Look for this plant in late spring and early summer, because later in the season it disappears. It’s a plant that calls us to celebrate being in the moment and appreciate the unfolding of the seasons. This plant plays well with others. Here you can see the foliage of the wild lily-of-the-valley and Virginia creeper among others. 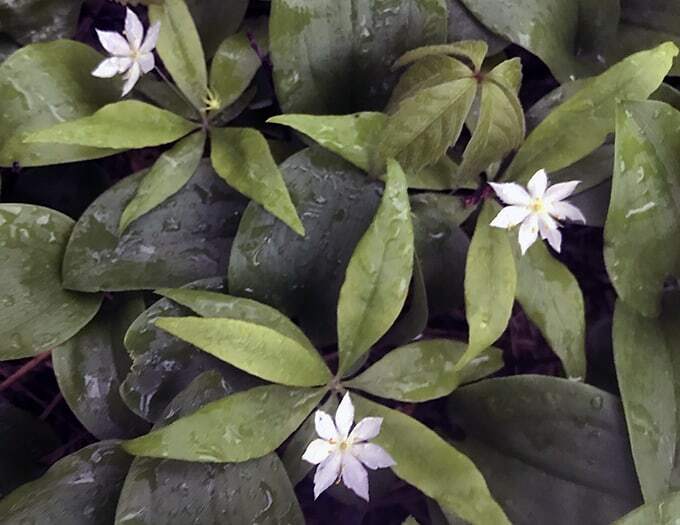 The star flower is interesting in that most of the blooms have seven petals. This plant is rare in some areas, but can still be seen in the woodlands of Cape Cod. You have undoubtedly seen this as you’ve walked in the woodland in late May or early June. “What a sweet flower,” you probably thought. “I’ll have to look it up.” But if you didn’t get around to it, and went back to the same area in July to find the plant again, you found that this wildflower had disappeared. Savor the Trientalis borealis when it’s in bloom.